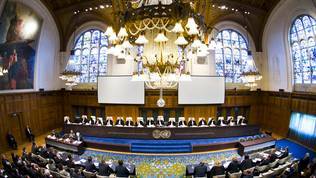 The UN International Court of Justice in the Hague has closed a 15-year old page of the post-Yugoslav history with a Solomon-type of a decision. According to the legend, two women asked King Solomon to resolve their dispute over who is the real mother of the baby. The king suggested that they split the child in two with a sword. One of the women said, however, that she would rather give up on the child than let it be killed and then Solomon ruled that she is the real mother and should take the child. Something like that happened with the mutual accusations between Croatia and Serbia. Croatia is accusing the predecessor of Serbia - the Federal Republic of Yugoslavia (FRY) - of genocide perpetrated during the war on Croatia's independence from the former Socialist Federal Republic of Yugoslavia (SFRY) in the period 1991-1995. During that period SFRY and its successor FRY occupied one third of Croatia's territory. Now the question is which "mother" will admit that it had committed crimes and will apologise for the sake of the bright European future. 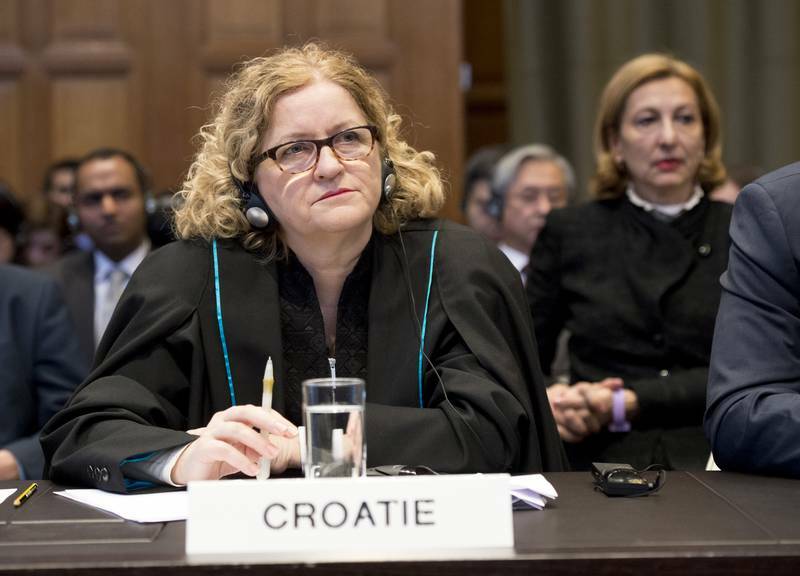 Croatia filed an application to the International Court of Justice in the Hague in 1999 against Serbia accusing the country of genocide perpetrated by the FRY in the period 1991-1995. In 2010, Serbia filed a counter application accusing Croatia of genocide perpetrated during the "Storm" operation in August 1995. An operation the aim of which was to liberate the occupied territories. After almost two-hour long readout of the court ruling in the Hague the court established that the two parties do not have legal grounds to claim that a genocide was committed. The court gives five criteria for genocide: 1. killing of the members of an ethnic, national, racial or religious group; 2. inflicting serious bodily or mental harm on the members of the group; 3. deliberately causing such life conditions for the group with the aim its physical partial or overall destruction; 4. imposing measures intended to prevent births within the group; 5. forcibly transferring children of the group to another group. According to the court Croatia's claim and Serbia's counter claim lacks a firm intention for genocide. The court establishes that the committed crimes can be described as genocide according to the first two criteria (killing of members of the group and inflicting serious bodily or mental harm), but is not persuaded that these actions were genocide according to criteria 3 and 4. In this way, the court is practically equally sharing the blame between the two countries, calling in the meantime on them to cooperate for the finding of the people who disappeared during the conflict. The first reactions in Belgrade and Zagreb were very modest but entirely opposite. In Serbia, the reactions were of a victory and "triumph of justice". According to President Tomislav Nikolic, the sentence has a huge significance for Serbia and the Serbian people because it changed the stereotypes of the international community about the events that unfolded on the territory of former Yugoslavia. It is curious that he made this statement in the company of the leader of the Bosnian Serbs Milorad Dodik who pointed out that the feeling of the Serbs that a crime was perpetrated against them will remain. "Not to mention the facts from the Second World War", the President of Republika Srpska in Bosnia and Herzegovina added. The Serbian Justice Minister Nikola Selakovic was happy with the ruling because it shows that Serbs left Croatia as a result of military action (operation Storm). This operation was aimed at expelling the Krajina Serbs from their territory, Selakovic said and called on Croatia to treat them too as displaced. In Zagreb, the reactions were of disappointment. 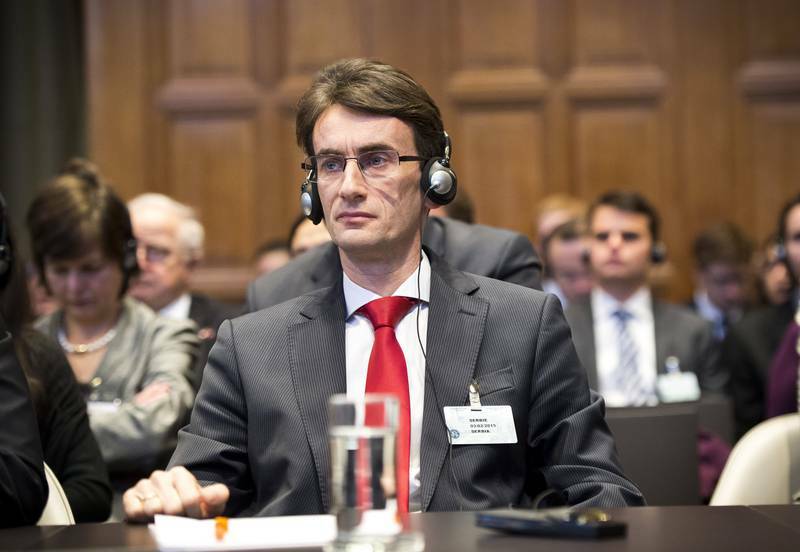 Prime Minister Zoran Milanovic said the ruling was disappointing but that Croatia would respect it in a civilised way. 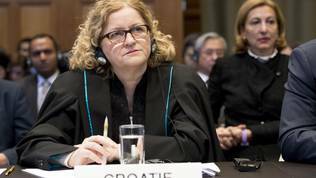 The outgoing President Ivo Josipovic, who in 1999 was part of the team that prepared the application to the ICJ, also expressed regret but underscored that, still, the sentence firmly rejects the thesis that Croatia intended to perpetrate genocide during operation Storm. He added that the sentence reveals that during this operation were committed crimes by the Croatian side which could have been prevented. His successor Kolinda Grabar-Kitarovic, although not satisfied, reacted much more modestly than during the election campaign. She reiterated that she would focus her efforts as president on resolving the issue with the disappeared persons and the return of the Croatian cultural valuables and promised she will work all countries from South-Eastern Europe to adopt the European values and future. 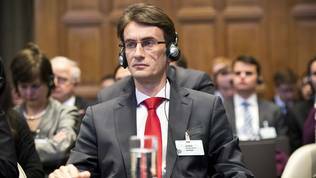 Croatia's Minister of Justice Orsat Miljenic said that the crimes committed by Serbia must be persecuted at the highest level. It is not only Milosevic and the others who are currently being prosecuted. There are many others. In addition, these crimes have to be condemned at the highest possible level. Serbia must continue to consistently persecute the perpetrators of war crimes. His Serbian counterpart said Serbia would do that but called on Croatia to do the same. Boris Tadic, ex-president of Serbia, told Croatian Nova TV that Serbia and Croatia would make a big mistake if they continued with the mutual accusations. However, he is also of the opinion that forgiveness must be sought for the past at the highest level. He himself is the first Serbian president who apologised for the war and visited, as president, one of the places Croatia claims genocide was committed - Ovcari. Mr Tadic called on Kolinda Grabar-Kitarovic and Tomislav Nikolic to continue the policy of reconciliation initiated by himself and Ivo Josipovic. Naturally, the ruling is a ruling and everyone are unanimous that it needs to be respected. This is encouraging and gives hope that the two parties will finally turn their backs to the past and will face the future. In precisely this direction are the first reactions by western European politicians. However, this ruling cannot be viewed for itself but should be put in a context because it will not have any legal consequences but it could have political impact. Several are the areas where it could have political impact. First of all, thus articulated, it removes or at least reduces Serbia's responsibility for the war. Secondly, this ruling raises the question if it is at all possible to get justice for war crimes, especially when the perpetrators or those who support them are aware how broad for interpretations the international law is. Third, this ruling could have a fuelling effect on nationalistic sentiments in both countries but especially in Croatia. It could also have an impact on the relations in the entire region of the Western Balkans. On the first aspect, it is important to take into account that at the time the ruling is pronounced Serbia is ruled by people who directly or indirectly participated in the events in the beginning of the 1990s. President Tomislav Nikolic was a member of the People's Radical Party during the war on the breakup of former Yugoslavia. He is one of the founders of the Serbian Radical Party together with Vojislav Seselj, who is accused by the International Crimes Tribunal for former Yugoslavia of war crimes but has recently been released for health reasons. Nikolic denied two years ago that a genocide was committed in Srebrenica. He also said that Vukovar was a Serbian city. This severely tightened the relations between Zagreb and Belgrade. Prime Minister Aleksandar Vucic was for a long time a secretary general of the Serbian Radical Party and a member of parliament. He was also a minster of information under Milosevic. According to available information, during his term as minster of information huge fines were imposed on journalists who were against the Milosevic's regime. During that period he was on the EU black list of people who were banned to enter the Union. Aleksandar Vucic still has problems with the media, as because of their freedom he even clashed with the EU. During a debate in the foreign affairs committee of the European Parliament on Serbia's progress report, MEP Tanja Fajon (Slovenia, S&D) said that the media situation in Serbia looked very much like the one during Milosevic. Vucic's first deputy and Minister of Foreign Affairs Ivica Dacic was a spokesman of the Socialist Party, led by Milosevic, in the period 1990-2000. Dacic is the only one from the current government of Serbia who apologised for crimes committed during the war, although partially. More specifically, he apologised last year for the bombing of Dubrovnik which is under the cultural protection of UNESCO. But the three have refused to comment on the militaristic and xenophobic statements by Seselj or to condemn the former regime they were part of. The position of Vucic's government is that those are things from the past that should be buried. It is important to look ahead. We know well, though, that when you look ahead without making a proper analysis of the past and without admitting the sins it is impossible to build a healthy society. An example for this is Russia where we see the return of some models we thought have been rejected with the fall of the Wall and have long been abandoned. Vladimir Putin not only never condemned the USSR crimes but he even regretted the breakup of the Soviet empire. His actions in Ukraine today, are very similar to what led to the wars in former Yugoslavia. 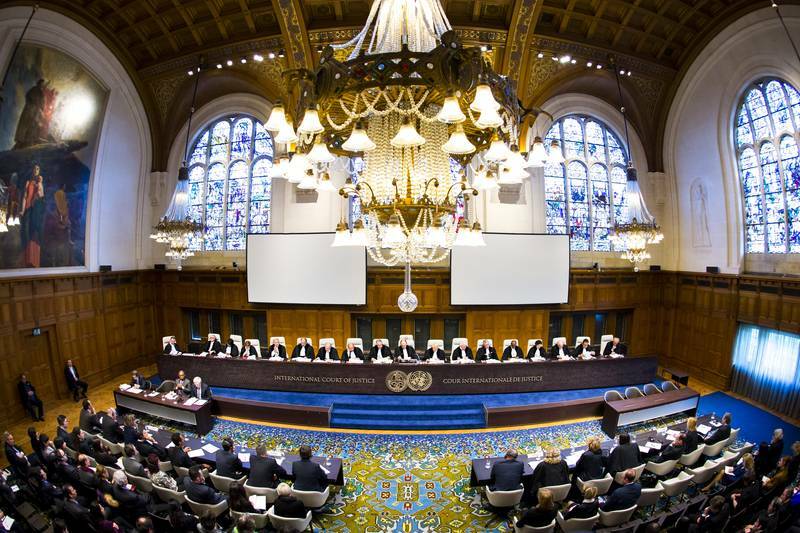 And therefore, the ruling of the UN court could have a political impact on the way the conflict in Ukraine will unfold. At this stage, it is visible from President Putin's actions that he is moving on the edge of law conducting a proxy war where it is very difficult to establish the facts and the perpetrators. The facts are, in their majority, oblique. If in the future there is a trial, it is very likely the ruling to be similar to that for Serbia and Croatia. It contains a very odd element. The international court refuses to review the crimes committed before 27 April 1992 when the FRY was legally established and when the FRY inherited from SFRY the convention on preventing genocide. According to the ruling, Croatia's genocide claim is inadmissible because FRY cannot be held accountable for something that happened before it was established as a state. And the period before 1992 covers some of the cruelest crimes in Ovcari, Vukovar, etc. This creates a freeling that the crimes committed then will remain unpunished. The possibility the sentence to fuel the newly awaken nationalistic sentiments in Croatia should also not be ruled out as well. This, for its part, could have an impact on the policy of Croatia toward Serbia's accession process and that affects the EU as a whole because the Union wants Serbia to remain in the Euro-Atlantic orbit. The task is getting harder with the deepening of the conflict in Ukraine because Serbia is a strong ally of Russia. Croatia's Deputy Prime Minister and Minister of Foreign Affairs Vesna Pusic reiterated yesterday that no additional conditions will be put forward to Serbia. The country has to go through the same demanding process as Croatia did, she added. But it is not clear whether this position will remain unchanged if in the end of the year the Croats elect a government led by Tomislav Karamarko's Croatian democratic Union which in the past two years has significantly hardened the rhetorics and has worked to arouse nationalistic feelings among the Croats. In the EU, there are already strong voices against a single member state using its veto right as a leverage to resolve old bilateral issues. Nevertheless, the practise is still going on. The most vivid example that affects the region is Greece's veto against the start of accession negotiations with Macedonia. Bulgaria, too, in the past years significantly changed its position and is now putting a condition on Macedonia to sign a friendship agreement. Taking into account the example of Macedonia, it can be assumed that a possible blockade of Serbia's accession could lead to much harder consequences because this is the biggest country in the region and has a very strong and aggressive ally behind its back - Russia - which, moreover, has already pronounced the Balkans as its influence zone. It is important to again note the fact that Serbia's President Tomislav Nikolic commented on the ICJ ruling in the presence of the leader of the Bosnian Serbs Milorad Dodik. The fact that he hinted also about the crimes from World War II fall entirely in the framework of the policy the Kremlin is pursuing - to point a finger at the Nazis for their crimes at the time without, however, admitting those committed by the Soviet Union. In this sense, it was very telling that Serbia invited President Putin to attend the celebrations of the liberation of Belgrade from the Nazis. The EU is facing a tough challenge to both keep Serbia in its influence zone and to avoid this being for the sake of the Union's fundamental values. This is important because the EU was awarded the Nobel Peace Prize in 2012 for ensuring the peace on the continent. But peace was possible thanks to the duly condemned crimes during the First and the Second World wars. So, Serbia should be aware that there is no way to join the Union without condemning the crimes it committed not only those it suffered from. The ruling of the court in the Hague leaves sufficient ground for interpretations which is rather a bad news than a politically correct neutrality aimed at boosting the reconciliation process. In this way, the crimes are left to the conscience of the political elites at the moment or in the future in the region but also in the EU which was a direct observer of the events in the beginning of the 1990s and a participant in finding a peaceful solution. So, apart from insisting all countries in the region to persecute the war crimes, the EU should also demand from the political elites to condemn the crimes of the former regimes.